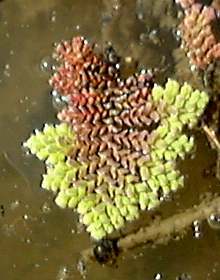 Azolla sp. - also known as mosquito fern. Reproduces readily. 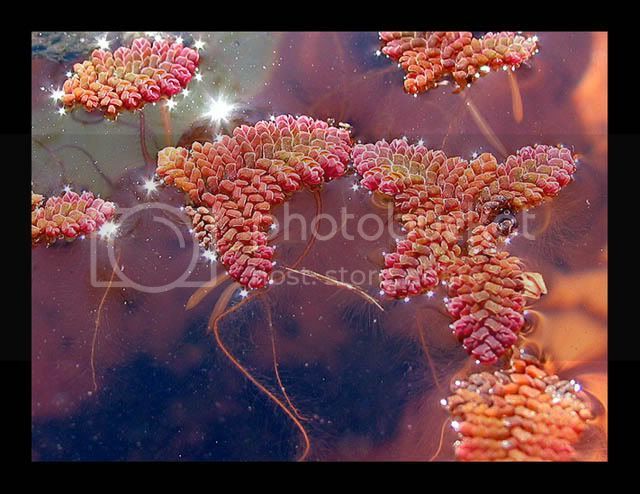 A free-floating annual water fern 0.8-2.5 cm long, with tiny scale-like 2-lobed leaves; lobes each 1-2 mm long; leaves green or red, often giving water surface reddish appearance. Main stem with pinnate branches; branches longer towards base giving plant a triangular shape. Roots with fine lateral rootlets, appearing feathery. 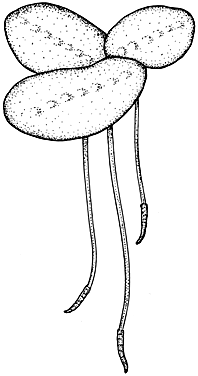 Produces both male and female spores. 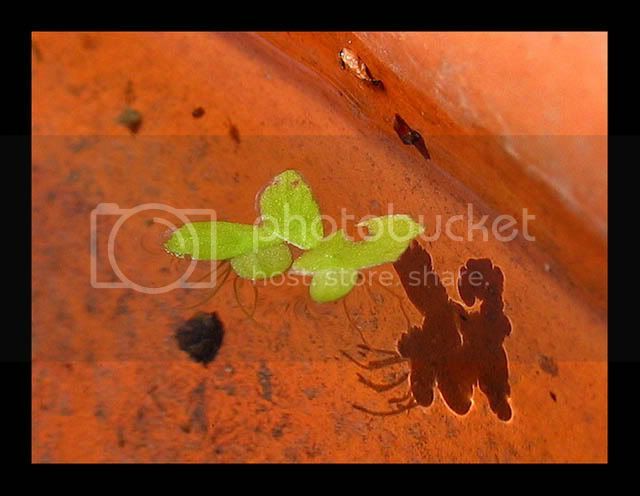 Duckweed - usually Lemna sp. 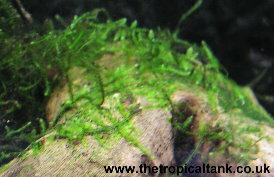 or Wolffia sp or Spirodela sp., is the smallest flowering plant. It floats on the water surface in a bright green layer. Grows in still or slow-flowing freshwater. Spirodela polyrrhiza and Wolffia globosa. Comments	The plant should be attached to rocks or bogwood, where it will soon become firmly attached and begin to creep along the surface. It is easy to propagate - simply remove part of the plant and attach to a new surface.